From an early age Kevin O’Carroll has had an interest in singing and performing Renaissance polyphony. The music of Viadana, Lassus, Tallis, Byrd, Palestrina and more hold a special fascination for him. However the manner in which this music is performed by community choirs often leaves a lot to be desired. 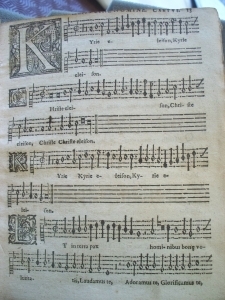 Stemming from a performance of Palestrina’s Sicut Cervus with which he was not happy, Kevin’s PhD research involved examining the extent to which Renaissance polyphony presented in modern music notation format has led to inappropriate performance practice. This in turn led to the development of the Phrased Notation System – a system which seeks to promote appropriate performance practice while at the same time minimising the impact of modern notation convention. If you want to know more about PNS and its impact on the performance of Renaissance polyphony please contact Kevin at the address below.